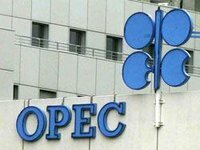 OPEC countries reduced oil production by 1 million barrels per day (bpd) to 32.06 million bpd in January, which represents 90% compliance with the agreed production cut, the International Energy Agency said in its monthly Oil Market Report. Some producers, notably Saudi Arabia, appeared to cut output more than required, the IEA said. The production decrease was partially offset by increases in Libya and Nigeria, which are not participating in the agreement. Overall, OPEC and non-OPEC countries reduced production by 1.5 million bpd, the IEA said.